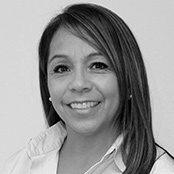 Mary Torres-Cooper is our Business Manager. She received her bachelor’s degree in Business Management from St. Mary’s College in Moraga. Her diverse business background and her ability to handle multiple tasks makes her a perfect fit to help oversee the day-to-day operations at BizSmart Global. Mary not only comes with many years of customer service experience from working at her family’s restaurant but has also worked with thousands of children in her 17+ years of working side by side with orthodontists in Santa Cruz and Mountain View/Los Altos. Her entrepreneurial experience, business background and her passion for working with kids drew Mary to join the great people at Camp BizSmart. On her weekends and time off, you can always find Mary, her family and her super cute dog, Buddy, spending time at the beach or bike riding. She loves supporting her daughter at her competitive cheer competitions and going to her son’s football and baseball games. She, her husband and kids also enjoy participating in several fun runs a year (Wharf to Wharf, She.is.beautiful Run in Santa Cruz and Santa Barbara, Bubble Run, Color Run, Mud Run and the Surfing Madonna Run in Encinitas Ca.). 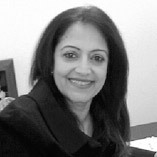 Geeta Ajmera is the student Admissions Manager for Camp BizSmart and BizSmart Global. She formally joined the Camp BizSmart staff in 2010, but she has been involved with Camp BizSmart since her son participated in the 2008 pilot program. At that time she recognized that the goals and achievements of Camp BizSmart were a perfect match for her interpersonal skills and business background. Geeta was instrumental in helping both Camp BizSmart and BizSmart Global set up and deliver programs in India. She provides concierge service to students from India and other parts of the world who wish to attend Camp BizSmart in the United States. 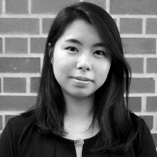 Tina joined BizSmart Global in 2019 with a desire to reach more students around the globe to help them realize their entrepreneurship skills. 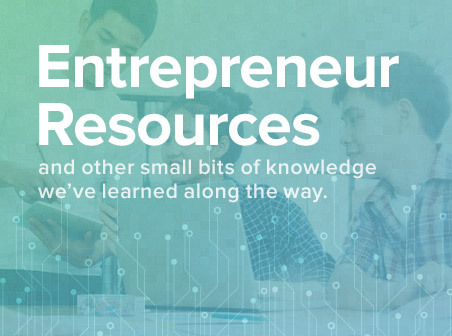 She believes that by incorporating values such as zest and grit to a student’s mindset, in addition to their skills, they can bring their visions, ideas, and themselves one step further in becoming successful entrepreneurs. Tina graduated with a Bachelor of Arts from University of the Pacific’s School of International Studies, with double majors in International Affairs and Commerce, and Applied Economics. Through her past internships in the Commerce Department of the US Embassy, Kuala Lumpur, and at the CalAsian Chamber of Commerce, Tina has experience working with domestic and international businesses from a variety of industries, exporting/importing products to and from the US. The scope of work included setting up and facilitating Business to Business connections, researching potential new markets and trends for clients, and understanding foreign regulations and logistics for exportation in a range of industries including tourism and travel, food and beverage, agriculture, cosmetics and beauty, and medical equipment. Tina enjoys working with kids and has been mentoring and coaching students since she was in middle school, starting off as a Sunday school assistant and VBS camp instructor. She was also a teacher’s assistant, teaching students English, as part of an English summer camp in Pingtung, Taiwan. During her college years, Tina tutored students from grades one through 12 on various school subjects, including math, history, and language arts. Bryan Cockel has been on faculty for Camp BizSmart since 2009, leading sessions as a Camp Director at Stanford University and Santa Clara University. Bryan was born and raised in Silicon Valley, and has a unique blend of practical start-up experience combined with a passion for entrepreneurship and solid academic training in applied economics from the University of California. In 2009, Bryan helped Camp BizSmart create a partnership with a leading Indian education company to offer the first project-based entrepreneurship training experience for youth in India with the prestigious Indian School of Business in Hyderabad. In 2012, he returned to ISB in Hyderabad with a follow-up entrepreneurial program, offering a new challenge to young people under BizSmart Global. This unique, hands-on entrepreneurship program was then further developed and launched later in the year in Mumbai and New Delhi. 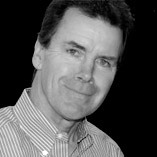 In 1990 Bryan founded and served as President of ASAP Systems, a classic entrepreneurial, bootstrapped Silicon Valley software and systems success story. Because of Bryan’s vision and leadership, ASAP Systems is now a recognized leader in the automated data collection industry. He sold ASAP Systems in 2003 after building a solid and well-represented client base that includes Intel, Cypress Semiconductor, the United States Department of Defense, and the U.S. Federal Reserve. Marla is the consummate trainer, beginning her career in high school volunteering with developmentally disabled kids, then as a Special Education teacher and later moving into Corporate Education. 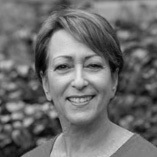 She has 30+ years of training and development success writing and teaching innovative programs in interpersonal communications skills, team building, leadership and public speaking. As an Organizational Development consultant, she has expertise working with national and global organizations in a multitude of industries and numerous government agencies. She has coached teams in Canada, Mexico and Puerto Rico, and has been a personal public speaking coach to numerous global entrepreneurs. Her clients include Shell Oil, the Department of Veterans Affairs and San Francisco State University. Blending her passion for teaching, love for kids and travel, Marla was immediately drawn to Camp BizSmart where she could share her knowledge of business, lifelong communication skills and innovative thinking to influence young people. Marla has been a host “Mom” to 37 foreign exchange students. Added to that, as a mother, and with her specialized teaching background, she has a deep understanding of how kids learn and how to adapt training to meet individual needs, giving her a unique advantage in delivering the CBS curriculum to kids from around the world. Her passion for developing the best in individuals and teams has been unmistakable as she coached campers to winning presentations. One of the CBS teams under Marla’s leadership was recognized as the Camp BizSmart 2016 Silicon Valley Grand Champion Team, enabling them to present their business concept at the prestigious Keiretsu Forum at Microsoft. Marla published the ebook The 7 Step Formula For Writing A Speech and is on the adjunct faculty of Golden Gate University in San Francisco where she teaches public speaking. She holds an MEd in Special Education from the University of San Diego, an MA in Educational Technology from San Diego State University, and lifetime teaching credentials in the State of California. Scott believes that excellent entrepreneurship not only recommends grit, it requires it. Scott joined BizSmart Global in 2017 with a mission to help young people find their passions and equip them with high level entrepreneurial skills, tools and abilities to build the businesses of tomorrow. Scott has spent many years studying team dynamics, what makes successful leaders, and the psychology of contagious enthusiasm. He is plugged into the pulse of social media marketing techniques and organic broadcasting topics which he enjoys teaching to and learning from the future entrepreneurs at Camp BizSmart. Scott earned a Bachelor of Science in Industrial Design from San Jose State University. He currently works as an Industrial Designer at Exo Design where he has the privilege of deploying cutting edge Silicon Valley technology. He has worked on product development/product strategy with leading technology companies such as Applied Materials, Nest, and Uber. Scott’s skills include sketching (Sketchbook Pro and Analog), graphic design (Adobe Suite), building CAD models, photography, model making, Solid Works, Keyshot, and video editing. Scott has led workshops for BizSmart Global in Zurich and Hong Kong as well as programs at the Baylor School and Santa Clara University. In his spare time, he enjoys attending the many local design shows and product pitches that are readily available in. Scott is passionate about good product design, epic mountain adventuring, and delicious dairy-free desserts. 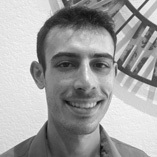 Dvir Maltzman joined the Camp BizSmart family in the summer of 2016. Dvir has spent many years learning social psychology, interpersonal communication, and conflict resolution both in and out of formal academic programs. In addition, Dvir has been involved in leadership and social entrepreneurship organizations since the age of 14. His love of learning and passion for people found a natural home at Camp BizSmart. Dvir believes that one of the most important parts of any successful organization is strong, healthy team dynamics. Moreover, because no system lives in isolation – be it sociological, scientific, economic, bureaucratic, etc. – it is important to him to remind students of the bigger picture. 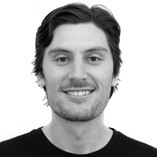 Currently Dvir studies and works as an industrial designer, and is a member of the Industrial Design Society of America. It is an iterative process of ideating, developing, testing, and bringing products and services to market. Professionally, Dvir focuses on environmentalism and sustainable design. To him, it is not enough to learn and to do, so the opportunity to empower others to learn to do the same is invaluable. Thus far, seeing young people grow at BizSmart Global, and grow as a team, has been nothing short of inspirational. Abhinav Dev has a BA from UC Santa Barbara in Political Science and Sports Management. Abhinav worked as Co-Director of the inaugural Camp BizSmart in 2008. Abhinav was the assistant general manager for a semi-professional baseball team, and earned an internship in the Sport Management Department at UCSB. While still in college Abhinav helped build Linea Consulting, a company that provides interpreters for foreign athletes coming to the United States. In 2008 he worked with Vhayu Technologies using Siebel’s CRM Software to analyze customer preferences. He is currently a Program Specialist at KIPP Bay Area Schools. 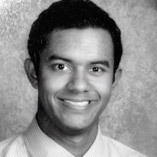 Abhinav coaches soccer, softball, baseball, and has been a private tennis coach since 2007. He was selected as a Peer Advisor to new Special Ed Teachers in their first year of Teach for America.